The Alpine Restaurant and Bar is a great place to book your private party. Whether it is a corporate holiday party or a wedding rehearsal dinner, we can handle it for you! We can hold groups up to 120 inside and 50 on our patio! With 3 distinctively separate dining areas, depending on the size of your party we can accommodate you in a private setting. In the summer time the patio is also available for you and your guests to enjoy the beautiful summer weather in Georgetown, CO. 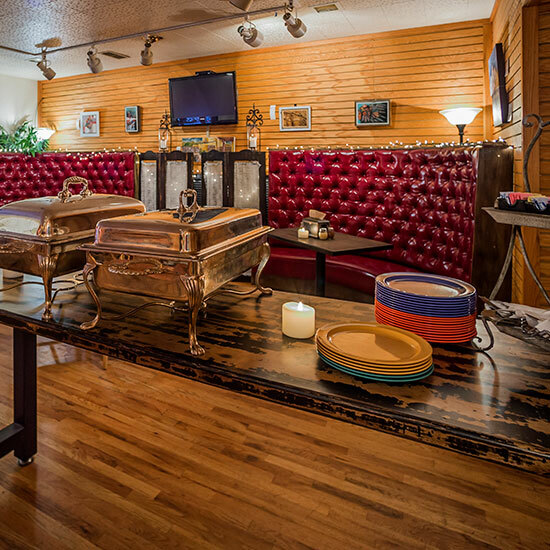 Contact us today to setup your private party at the Alpine Restaurant and Bar in Georgetown, CO.